If you find the over fragrant 'cat's pee' smell of elderflower a bit too much, the secret is to add double the suggested citrus, particularly orange, and even a dash or two of Angostura bitters at serving. I tend to make this in fairly industrial quantities – the quantities below will make about ten 75cl bottles. 1Zest (with a potato peeler) half the citrus fruit and slice the remainder. Put the elderflowers, zest and sliced citrus in a bucket and add six litres of boiling water. Cover and leave, overnight, to infuse. 2Juice the zested fruit and put the juice in the fridge. 3Next morning, strain the liquid in the bucket through a clean piece of muslin into a large preserving pan. Squeeze out as much liquid as you can (cloudy is good). 4Add the sugar, citrus juice and citric acid and gently heat until the sugar has dissolved. Stir as you go and as soon as the sugar has dissolved take it off the heat. 5At this stage it’s important to know where you’re going. 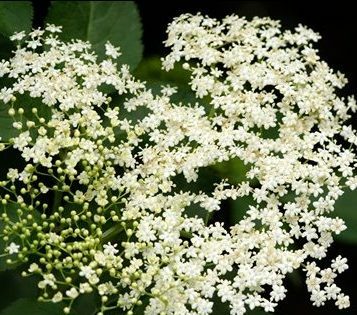 You can hot fill and pasteurise, but the more you heat the more you’ll lose that quintessential summer, elderflower fragrance. My preference is to reuse 1/2l plastic milk or water bottles and freeze it. With all that sugar, it will keep for several weeks in the fridge but, once you forget to refrigerate, the yeasts will start blooming. In clean glass bottles, with the citric acid and hot filled and pasteurised in a water bath, it will keep all year.